Before I give my response, I want to congratulate you on your efforts towards phasing out your Indian Rigneck’s biting. And also, I want to thank you for adopting this ringneck as I know it found a forever home. Now let’s address your question. 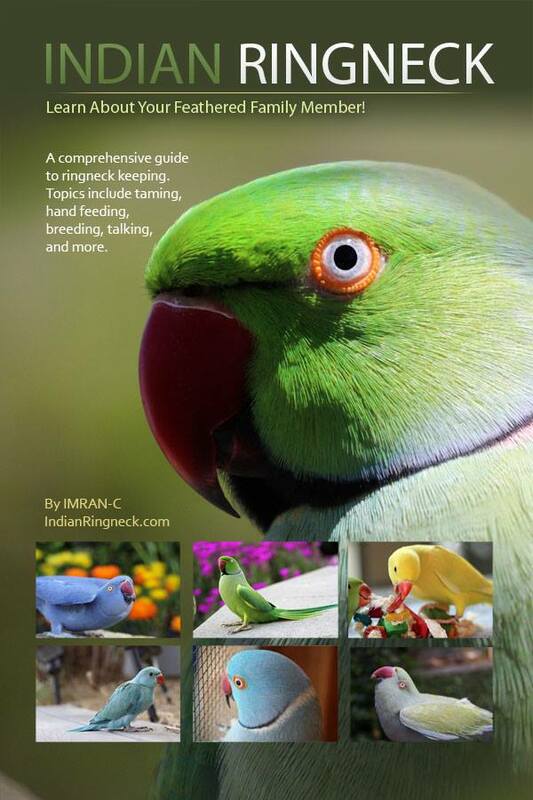 Firstly, let me clarify what Indian Ringneck bluffing actually is. Bluffing is a stage that many baby ringnecks go through after weaning. This stage is a genetic trait that allows these young birds to compete with adult ringnecks in the wild. While watching feral flocks, it became apparent to me that the younger birds, who had just fledged, were quite clumsy and aggressive. Though many were uncoordinated, the babies who thrived were the most aggressive as they were able to push adults away from their share of food. Once the babies became more confident and agile, bluffing usually goes away. So, was the biting in your ringneck unresolved case of bluffing? The answer is likely no. There could be two reasons the ringneck actually learned to bite: 1) If the bird is indeed a female than this is normal behavior 2) It could have picked up the bad habit through its owner. If the ringneck is indeed a female, which I might add it looks to be in the photos you sent, then it is likely she is exhibiting her natural instinctive behaviors. 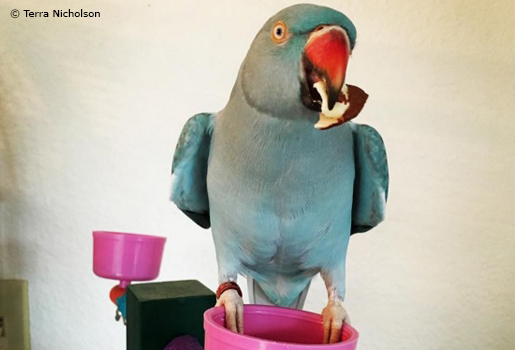 A female ringneck needs an owner who is confident, who is willing to phase out the biting, and willing to work with the bird through positive reinforcement. Once the bird has established your intentions, or has associated you as rewarding presence, and feels your confidence — biting usually becomes something of the past. My two females hardly bite now as they know biting is not an effective tool to control me, or to communicate with me. If we analyze your situation we can see that you positively reinforced her to interact with you through food and attention. This consistent interaction allowed the two of you to bond, and it helped her to understand your intentions when interacting with her, in a sense, it was a gentle dominance approach, too. Once she learned that biting no longer pushed you away, she likely dropped the behavior as it was not an effective communication route to control you. The end result is that you have a tamed bird who phased out the biting. I should also point out that all parrots bite. Should she ever bite you again, chances are it will being during her breeding season. I did say that the bird might have pickup the habit of biting from the owners as well. Though I don’t know her past, or her owner, i can’t asses the situation properly. That being said, for now you have a bird who adores you, so run with it and pat yourself on the back as you’ve done a wonderful job! Now, if you incorporate her into your life every day she will become tamer and tamer and her bond will strengthen with you. I can attest to how marvelous female Indian Ringnecks are. Their devotion and kindness is like no other. Should you run into any more problems please for free to register on our Indian Ringneck forum as we have many wonderful members there willing to help!